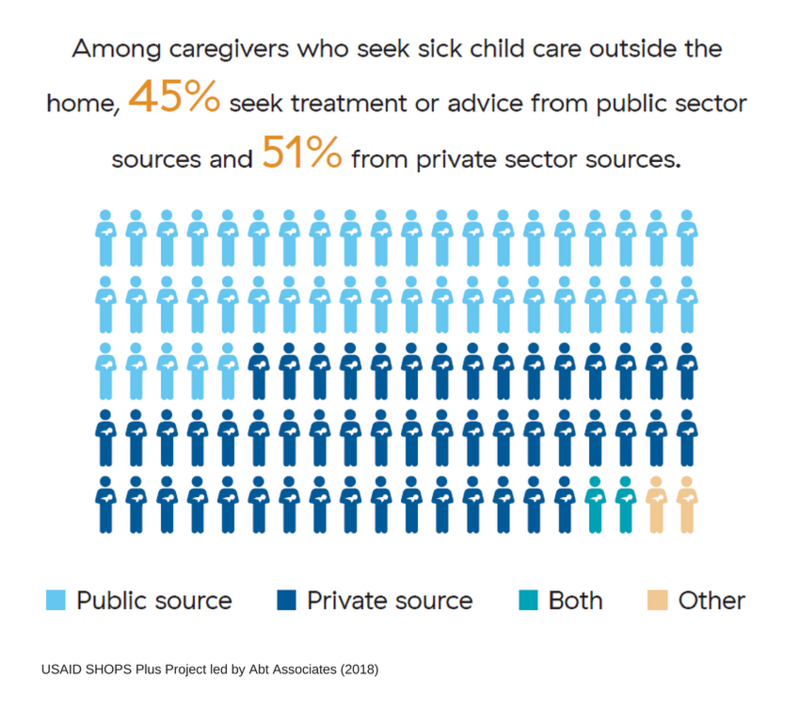 Both the public and private sectors are important sources of sick child care in Tanzania. Understanding if and where sick children are taken for care is critical to improve case management interventions. This brief presents a secondary analysis of the 2015–16 Tanzania Demographic and Health Survey to examine where treatment or advice is sought for sick children who experienced at least one of three treatable illnesses: fever, acute respiratory infection, or diarrhea. These illnesses represent some of the leading causes of death in children under five years old.